Combining machine learning with radiomics—a branch of medicine that uses algorithms to extract large amounts of quantitative characteristics from medical images—has been proposed as an approach to remedy this drawback. However, other studies have only tested a limited number of machine learning methods to address this limitation. In contrast, the Mount Sinai and USC researchers developed a predictive framework that rigorously and systematically assessed many such methods to identify the best-performing one. The framework also leverages larger training and validation data sets than previous studies did. As a result, researchers were able to classify patients' prostate cancer with high sensitivity and an even higher predictive value. "By rigorously and systematically combining machine learning with radiomics, our goal is to provide radiologists and clinical personnel with a sound prediction tool that can eventually translate to more effective and personalized patient care," said Gaurav Pandey, Ph.D., Assistant Professor of Genetics and Genomic Sciences at the Icahn School of Medicine at Mount Sinai and senior corresponding author of the publication alongside co-corresponding author Bino Varghese, Ph.D., Assistant Professor of Research Radiology at the Keck School of Medicine at USC. 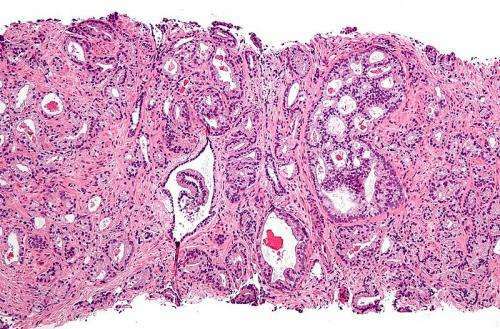 "The pathway to predicting prostate cancer progression with high accuracy is ever improving, and we believe our objective framework is a much-needed advancement."